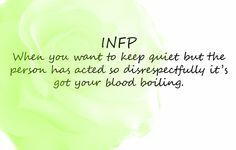 Personality Type INFP – Yes, I’m a little odd! It’s exhilarating (perhaps I’m a bit dramatic) to discover that there are 16 Personality Types and one type that illustrates your traits. My scores, after undertaking two different tests, both conclude that I’m an INFP Type Personality, with their qualities so ‘dead on’ to my own. It’s almost spooky! With various personality traits, I often considered myself as an oddball; unique from others who rarely mull over or sense things the way I do, or perceive the world and people. I’ve been in therapy for some years (PTSD) and have discussed the way I operate day to day, and now there is a name for it! ~ Forever curious. If I see a word, phrase, a subject I don’t understand, a disease I’ve recently heard about or whatever pops into my head – I drop everything and head to Google to look it up. The dilemma is, I will research (at times forgetting to eat) until no more sites are accessible which takes hours or days. Until I’m satisfied with the answer and comprehend it, I will finally stop. ~ I am a perfectionist to a point. A good housekeeper I’m not, nor am I a great organizer, yet when it comes to writing, an article or story has to appear just right and hopefully containing no grammar errors. I edit too many times. ~ My passion for reading books and writing stories began as a child. I typically had my nose in a book when I could have been out playing in the yard as a kid, or my mind in the clouds daydreaming up stories to write! 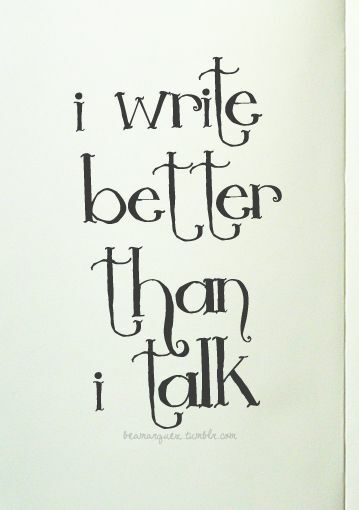 I never entered college or university, so my writing is, I suppose, self-taught. ~ Boredom quickly sets in when hearing about or listening to anyone bragging about themselves. I can usually spot a phony person, and unimpressed by wealth, or jewelry (rocks on woman’s fingers), or cars, houses, or the interior. Also, unconcerned about celebrity gossip (who cares how wealthy they are?). I could go on and on, but I believe this identifies me as an INFP. Does anyone else sound like me? I’d love to hear your feedback. It’s a peculiar feeling knowing that other people share the same personality trait as yourself. Odd, yet comforting in a way! Stupid Interviewer Question #5: Are you a Team Player? Stigma ~ Why do we insist on judging people?